The AirMD network is an environmental testing and consulting group that conducts allergen and dust mite testing services in New Hartford, Connecticut. Allergy testing assesses the level of indoor contaminants that may be causing allergic reactions or other symptoms. Allergic exposures in home or office environments cause sneezing, eye irritation, headaches, fatigue or respiratory problems. AirMD’s allergy evaluation helps find and eliminate the source of allergic exposure. Understanding existing conditions allow changes to be made in the indoor environment promoting health and wellness. An Allergy Evaluation report including recommendations and suggestions for improving indoor environmental quality will be provided. 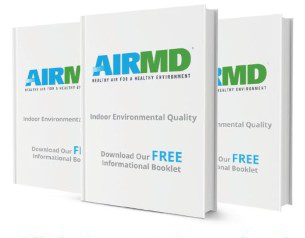 AirMD’s accredited network of environmental consultants use state-of-the-art equipment to identify the source and extent of any allergy issue and will recommend a solution. The consultant will perform a visual inspection, conduct sampling with laboratory analysis and collect temperature and humidity readings. AirMD, and our network, is a group that you can count on. AirMD’s network provides allergen testing services to New Hartford, Connecticut, as well as many other states across the country. To book Allergen Testing for your New Hartford home or business, Click Here. You can also call us at 1-888-462-4763 or 1-888-GO-AIRMD.